1.1) Explain the principles of management used in the construction and built environment sector. 1.2) Explain the influence of human resources management on the performance of individuals and teams. In the construction and building industry, it is very important that each task is managed effectively in the company. Thus it can be said that the role of the managers is significant in conducting various activities within the organization in order to ensure continuous production of the service. It is very important that the jobs are broken into its smallest parts and most qualified employees are selected for performing the jobs. The employees need to monitor as well for ensuring that the employees are following the prescribed methods. It is very important for the managers to continuously monitor that each activity is completed at the required rate so that the task can be completed at the desired or pre-specified date. There are basically various functions of the managers. The main functions are planning, organizing, leading, monitoring and controlling. Now various principles of management in the construction industry can be discussed here. 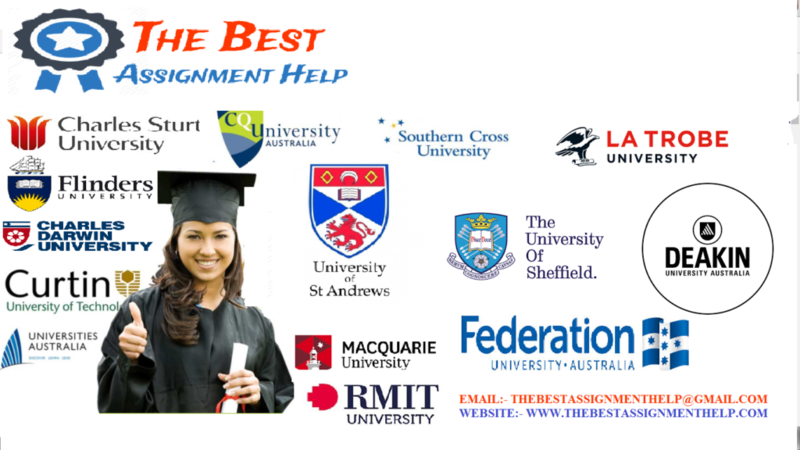 Hire an Expert from The Best Assignment help and Get the Necessary Assignment Help at a Reasonable Rate. Discipline and Division of Work: it is very important to keep the discipline in the organization for successfully conducting activities maintaining the organizational culture. The employees need to be categorized in various divisions in terms of their area of specialization. It can increase the productivity of the employees and the effectiveness of the operations (Slater and Radford, 2008). Authority and Unity of command: the managers should have the authority for giving orders and the manager should understand the importance of his roles and responsibilities. There should be unity of the command. Scheduling: scheduling is one of the effective activities in the construction and building project. Each and every function or sub-activities must be scheduled effectively in order to meet the pre-determined timeline. Thus the manager must control the situation for managing the schedule of the activities. Remuneration: the satisfaction of the employees is based on the effective remuneration system and thus the manager should take into consideration whether the employees are remunerated effectively or not. Order and Equity: there should be order in the organization. In the construction facilities, the employees are usually exposed to various forms of risks and health hazard. Thus it is very important to manage such activities in the organization and take appropriate precautions in terms of risky activities (Osipova and Eriksson, 2011). There should be preventive as well as corrective measures in the Equity needs to be maintained within the company. That means each and every employee should receive similar opportunities and they should be treated fairly and equally in terms of disciplines. So these are the main principles of management in the construction and building company. Human resource management is the function that is performed within the organization for maximizing the performance of the employees. Human resource management can be implemented in order to gain the strategic objectives of the organization. The main activities that are performed by the human resource managers are the recruitment of the employees, provision of training and development, rewarding, performance appraisal etc. Here it can be said that principles and the practice of human resource management that is implemented in an organization can significantly influence the performance of the teams and the individuals within the organization. Here it can be said that human resource management helps in evaluating various policies and practices that help to increase the performance of the individuals and the teams in the organization (Ogunsanmi, 2013). The incentive and reward policies are one of the effective activities that are performed by the human resource managers and it can significantly increase the motivation of the employees. The employees can be highly motivated if the reward of god performance of individuals or a team can be ensured by the organization in terms of recognition or certain benefits. Effective human resource management can also increase the performance of the individuals and the team in terms of conflict resolution. In highly managed teams, the conflicts are lower and it is resolved quickly in the organization. This increases the efficiency of the team and individuals. Here the team dynamic should be analyzed and communication should be maintained effectively within the organization (Forgues and Koskela, 2009). It is very important to give the roles and responsibility to the team members according to their abilities and capabilities. This can help in increasing the efficiency of the entire team as each individual can perform better. Maintaining equity within the organization by abolishing any form of discrimination can also increase the efficiency of the individuals. So these are the main human resource management programmes that can help in increasing the performance of the individuals and teams in the organization. 2.1) Discuss the structure and activities of the construction and built environment sector. 2.2) Evaluate the organizational structures and approaches used in the construction and built environment sector. 2.3) Discuss how the scale and size of contracts influence business practices within the construction and built environment sector. According to Kelly et al. (2014), the construction and the building sector is the largest industry by size inside the United Kingdom. This industry holds almost 3.45 million peoples. The study by Plunkett (2014) reflected that the growth of this sector is very much lucrative in terms of career opportunity. The present activity of this sector is divided into three major parts. The orientation of the industry has been illustrated through the following table. 0.58 Million jobs, £14 billion revenue Construction material production, Construction tools business, wholesaling of the construction tools and materials etc. According to the data provided by Plunkett (2014), the contracting industry is the largest industry sector by revenue within the UK. It contributes almost more than 70% revenue income of the UK government. However, this business sector has been affected by the 2008 recession. Due to the recession of 2008 currently, the contribution from this industry has been decreased to 6.70% from earlier 8.90% (Plunkett, 2014). The roles and responsibilities of the each of the unit are very much specific and distinguishable. The main role of the sector 1 is to develop the constructions of the buildings, houses, and the national infrastructures. The major role of the team members of this sector is to develop and execute projects through accumulating resources from the other two sectors. The main responsibility of the members of the team is to ensure the quality of the construction. In some cases, it has been observed that due to the negligence of the team member or through compromising about the quality of the materials the overall quality of the construction has been downgraded. This down gradation has affected the team and the company in future times. According to Kelly et al. (2014), the quality of the construction depends on the quality of the material produced by the production sector. Therefore, the main role and responsibility of the team members who are working pin this sector are to maintain the quality of the produced products in accordance with the industry specifications. The service sector is the second largest sector by value within the industry. The entire supply, availability of the products and the pricing of the products depends majorly within the hands of this sector. The traders of this sector have the maximum bargaining power. Therefore, the key role and responsibility of the team members working in this sector are to maintain equilibrium within the demand, supply, and price. The main reason for this is that, as the entire infrastructural development is dependent upon the services of this industry is any unethical practices done by this industry that will badly affect the national economy. Therefore, the team members of this sector need to carry their business through keeping the national and the company interest on the mind. No the roles of some of the team members in the construction industry are given. The Surveyor: the surveyor is the custodian of the information of the land. The surveyor first determines the features, location, topography, size etc of the land. After that accurate and effective planning can be conducted. The Architect: the architect helps in understanding and formulating the requirements of the clients. After that, the architect visualizes the requirements of the clients and then helps in realizing the visualization (Anyanwu, 2013). The Engineer: for the design team, the engineers are the most important members as they have the responsibility in assisting the overall design of the project. Various analyses and calculations are done by the engineers in the mechanical, electrical, structural, and geotechnical department. After that, they produce drawings, schedules, and specifications for the construction. The Project Manager: the project manager inspects the material and the workmanship of the entire project. They are responsible for controlling the project so that it can finish on time. They are responsible for managing the schedule of the project. they are also responsible for maintaining the quality of the project and ensuring that the project conforms with the design. Protecting the environment (co.uk, 2015). The mission of the company is to deliver environment-friendly high-quality construction development through maintaining safety measures (Stepnell.co.uk, 2015). On the other hand, the strategy of the company is to put more focus on the life cycle of the construction. According to Plunkett (2014), the main aspect of construction is the maintenance and the build-ability. If any of the aspects are neglected, then the life cycle of the building will be hampered. Considering the scenario, the main strategy of the company is to develop projects through life cycle approach (Stepnell.co.uk, 2015). Other than this, the other sub lining strategy of the company is to grow the business by gaining customer loyalty. The strategy for gaining customer loyalty is to deliver a feasible and buildable solution to the clients. According to Rodriguez (2014), this strategy has enabled them to gain customer confidence in them. Stepnell is a completely family driven company. The overall structure of the company follows a flat organizational structure. The top management and the governing body is entirely family focused and the rest of the company members are recruited from outside (Kelly et al. 2014). However, the internal structure of the company follows two types of structures one is Divisional structure and the other one is Project matrix structure. A flat organizational structure has relatively fewer layers than other organizational structure. Thus it can be said that the span of control is wide and the chain of command is short from the top to bottom. A flat organizational structure can be seen in smaller organizations. It is evident that there is greater communication among the workers and the managers and the decision making is easier due to less bureaucracy. The matrix management is the practice of managing individuals with more reporting lines and the matrix can also be used for cross-business groups. The matrix can be incorporated in the project management as well. The organization basically falls between fully functional and pure matrix structure. In the following diagram, the structure of a matrix organisation is given. It is seen that in a matrix organizational structure there is compartmentalization within the roles and the responsibility of the workers. The workers are accountable for their operations to the functional managers. Thus the matrix organizational structure is like a functional organizational structure. The construction division is managed through the project matrix structure. Every individual project is maintained by one single project manager and with his/ subordinates. On the other hand, the administration and the other adjacent departments follow the Divisional structure. According to Plunkett (2014), the main reason for the following of the divisional structure within the administrative and the adjacent departments is that this structure allows flexibility of the working methods and policies in accordance with the environmental dynamics. However, the main reason for following the project matrix structure in the construction division is that in construction higher control and quality maintenance is required. Therefore, this structure allows for more control over the operations. According to Theconstructionindex.co.uk (2014), the scientific division of work and the life cycle approach strategy has enabled the company to increase its profitability by 10.70%. Stepnell follows the line communication relationships within the company. This enables them to maintain the flow of communication and the uniformity of communication and policies. The scale and the size of contract highly influence the business of this sector. According to Plunkett (2014) the size and complexity, type and the location of the contract influence the entire business sector. The size of the contract majorly develops the strategy for the execution of the project. If a company is having two projects one is of high value and the other one is of lower value. Then the company will imply more control on the high-value project rather than on the lower value project. The main reason behind this is that if the high-value project gets delayed or any unfavorable conditions rises during the project it will have a higher financial impact on the company. However, these terms and conditions majorly depend on the type of contracts developed by both the parties and the condition of the liability sharing. Time and Material Contracts (Rodriguez, 2014). In the cost-plus contract, the cost of the contract is flexible and it accumulates the value through the invoice generation from the actual work site. In this type of contract, the invoices should have the detailed breakout of the value otherwise, the contractee has the right to delay the payment schedule. However, in this type of contract, the contractee has the risk of higher expenditure as the cost of the project is variable (Kelly et al. 2014). The fixed contact is one of the most followed contracts by the construction companies. In this contract, the contract is developed through the agreed estimated cost with a special provision for the further cost increment in the cases of special circumstances. This is very much profitable for the construction companies because through proper scheduling of the project they can avail the profit of early termination (Kelly et al. 2014). The time and material contract is a win-win situation for both the parties while the slope of the project is not clear. The contract is developed through the agreed rate on the daily or hourly rate through the detailed explanation of the overhead, direct cost, indirect cost, and the mark-up cost. The main responsibility for both the parties is to maintain clarity on the expense and the slope of the project so that the project does not cross the estimated cost by a large amount. If this happens then it could hamper the financial profitability of the contractee (Kelly et al. 2014). Some of the contracting methods can be given here. Traditional contracting: it is one of the common methods of contracting. In this method, there is cost certainty and time predictability. For various fast track projects, the method can be very suitable. At first, the team of consultants is appointed and the tender documents and the drawings are prepared. Then the building contractors are approached and the work is initiated. The consultants basically administer the projects and they advise on several aspects like payment, design, progress etc. Design and Build: it is one of the single consultants or contractor system of contracting where the single contractor is appointed for the construction operations and for builds and design management. The contractor can also hire various subcontractors after they get the contracts. The design and build projects can vary depending on the contractor’s design responsibility and the requirements of the employer. The employer usually has control over the design elements of the project (Jctltd.co.uk, 2015). Management Contracting: it is one of the most common contracting methods that are used by organizations nowadays. The selection of the management contractor is done by the management fee, prime costs, paid basis, and tender. The execution of the work is the main role of the management contractors. The main contractor hires other sub-contractors for the execution of works as they are not involved in any form of construction work. The management contractors accept the responsibilities for managing the contracts (Chao and Hsiao, 2012). The design and construction in the management contracting can be handled by the managers as well (Fageha and Aibinu, 2014). 3.1) Explain the use of planning in the management of construction projects. 3.2) Explain how procurement scheduling and control are managed. 3.3) Explain how quality control and risk management are managed. According to Kelly et al. (2014), the planning for the management of the construction process follows two different ways one is the cost-oriented and the other one is the schedule oriented. The main motto of the planning in the construction sector is to minimize the slope and to maximize the utility of the project. The project planning starts with the designing issue. The main project starts only after the finalizing the design. Most of the companies follow schedule oriented planning. In this most of the companies, the critical path was being followed because it provides a practical execution view of the project (Plunkett, 2014). The main importance of managing the project planning through the critical path method is that it helps to maintain the time-cost proportion of the entire project. The other use of the planning within the construction project is that it allows avoiding the collision of the resources. The other aspect of planning within the construction project is that it allows to maintain the project cost and to minimize the loss that may arise due to the loss of resources or due to the collision of the application of the resources. Procurement scheduling is the most important section for any of the construction company. In this stage, the actual construction project starts through the inclusion of the raw materials, labors and pieces of equipment. The management of the procurement scheduling and controlling of any project is very much important because the main profit generation and the quality maintenance aspect is dependent upon this stage. Any delay or lag within the procurement timeline could hamper the profitability of the project. According to Kelly et al. (2014), the main procurement scheduling and control of the schedule is implied on the purchase of the materials. The main reason for this is that the higher cost is involved in this section. Moreover, the process made with the labors and the other tools is directly dependent upon the supply of the raw martial by the other parties. In stepwell, the company develops separate contracts with the procurement parties through subcontracts. The procurement list only made through analyzing the requirement of the project and the capacity of the listed agencies. This mapping helps the company to identify the right candidate for the development of the procurement sub contact for a particular project (Stepnell.co.uk, 2015). According to Plunkett (2014) this mapping helps the company to maintain control over the cost and the flow of the work. The control is generally done through the periodical measurement of the project flow in accordance with the planned flow (Rodriguez, 2014). If any gap comes up or delays spotted within the workflow a systematic cause-effect analysis is done to identify the impact on the entire workflow. If any impact on the other process or the overall project comes up through this analysis, an immediate control is being applied to minimize the impact. The quality control of any construction project is done through implementing the TQM- Total quality management method or through statistical method. The statistical method is majorly implemented to analyze the quality of the construction. To the quality of the construction and the foundation is now a day is majorly done through the X-Ray testing (Rodriguez, 2014). The result of the X-ray testing is being interpreted in accordance with the desired quality to analyze the quality of the construction. On the other hand, the overall quality of the project is being judged by the implementation of the Total Quality management on the project. The implementation of the total quality management is done through the setting up the benchmarks for the project (Plunkett, 2014). Once the benchmark is fixed for the quality, testing is done through a periodical manner to identify any issues related to the projected growth and the project implementation quality. However, the risk management is done by implementing the health and safety measures for the workers working for the project (Kelly et al. 2014). The risk control is ensured by providing adequate safety materials to the workers and through the provision of a small medical unit for providing initial treatments if any unfavorable circumstances arise during the course of the project. Understand the methods of procurement and contracting used in the construction and built environment sector. 4.2) Explain the use of contracts to manage construction projects. 4.3) Evaluate the impact of procurement techniques on the organization and operation of construction firms and construction projects. Procurement refers to the acquisition of various raw materials and other inputs in order to produce the final outputs by the organization. In the construction and built environment sector, there are several activities that need to be conducted in order to produce the final products in the organization. In the construction sector, the procurement method is a series considered risks and it can be said that all the procurement methods have certain advantages and disadvantages. Thus it is very important to calculate the cost and the benefits and implement appropriate methods. There are several routes of procurement that are available to the company. The organization can select from various procurement types like construction management, design and build and traditional (Arditi, 2012). Selective Competition: it is one of the common and traditional methods of awarding the contracts of construction. The project team selects a number of reputed firms for tendering the project and the firms submitting the lowest tender gets the project. Open competition: this process is also used for rendering. Often necessary criteria are advertised in the in the local trade publication. The limit of the selected firms is in most cases 6 but the price can be submitted by any number of firms in case of open tendering. There are restrictions on the number of available documents. The consultants are consulted and then the suitable contractor is selected. In open tendering, other factors are also considered along with the price. Negotiated Contracts: it is one of the most common procurement methods that are used by organizations nowadays. This type of contracting occurs when the there is an absence of competition and when the price is to be agreed with the sole contractor (Chao and Hsiao, 2012). After pricing the documentation it is reviewed by the surveyor of the client. In the document when any form of disagreements arises, they are negotiated within the parties. The process can add 5% cost to the contract. It can lead to more participation of the contractor in the project. Now some of the other measures of tendering can be discussed as well. Public-Private Partnership: the public-private partnership can be referred to as the partnership between the private and public sector parties. The government and the private sector parties can agree on the division of risks and tasks for a construction project. Due to limited funds, the public sector can join with the private sector parties for undertaking an In some cases, the cost is borne by the users of the service and not by the taxpayers (Fageha and Aibinu, 2014). The government may provide the grant in case of infrastructural investment projects. Here several risk factors can also be taken into account. In certain cases, the private sectors cannot take the risks of a project and thus such risky projects are undertaken by the public sector. A special company is also formed by the private sector consortium and it is called special purpose vehicle (SPV). Partnering: the partnering in construction is the commitment between the architect, the consulting engineer and the owner for avoiding any form of disputes and improving the communication among the related parties by sharing common objectives and goals of the project. In case of partnering the surprises can be eliminated along with the adversarial relationships and goodwill and trust can be built among the partners. Thus it can be said that it can benefit in the construction industry (Cheung, 2010). PFI Contracts: private finance initiative is also a type of procurement method that can be undertaken by a construction company. PFI is one of the methods of creating a public-private partnership. In this method, the public resources and the private capacities are used for delivering the services, specified by the public sector. The PFI activities are related with the public procurement. PFI differs from privatization in the in the public sector. A substantial role is undertaken by the PFI projects and it is either as an essential enabler of the projector as the main purchaser of the service. In PFI the risk is shifted from one sector to another. It is known that construction works are critical and it is not always possible for the organizations to undertake the projects on their own. In case of large construction works, the organizations may hire various contractors for the procurement and execution of the entire project. Giving contracts of construction is one of the effective strategies that are implemented by companies. Here it can be said that the contracts can be effectively used in order to manage the construction projects. It is known that Stepnell is one of the most profitable construction companies in the country. One of the strengths of the company is the ability to provide complete engineering and construction service along with the technical consultancy (Eriksson and Westerberg, 2011). The organization is also involved in various forms of contracting. Stepnell is involved in the design and builds, traditional contracting, framework partnership projects etc. The PFI and PPP contracts are also undertaken by Stepnell for a wide range of specialist developments. The Staffordshire Fire Station and Whitecross High School are the PFI schemes that are conducted by the organization. Stepnell is managing the Whitecross High School for 25 years after building under the PFI project. Using a written contract: the inquiry documents are included in the contract documents along with the minutes of the meeting, the written offer, a formal contract with agreed terms, and method statements etc. By letter exchange: for alteration or repairs, an extension of small domestic works etc. Implied by the conduct of the party: an offer may be submitted by a contractor and afterward, the access to the site can be achieved. The genuineness of consent: the parties must not impose be pressured and they should exercise their free will before entering the contract. Capacity: there should be the legal capacity of each party for entering the contract. Consideration: there should be the contribution of something of value by each party. The construction must be completed by the contractor where the client is bound to pay for the work. Offer and acceptance: there should be an offer by one party and the other party must accept the offer. Intention to create legal relation: the transaction will be bound by the law. Thus it can be said that the contracts can be used for managing the construction projects. There are various methods of procurement. In these methods, the construction contracts are given to single or multiple contractors for managing the projects from the initial stage through the procurement and execution stage. The contractors can provide assistance throughout the entire construction operations and various issues can be eliminated through effective management practices implemented by them. There are a clear role and responsibility of the contractors. Thus the contractors can help in managing the construction projects of an organization (Forgues and Koskela, 2009). It is known that there are several procurement techniques that are undertaken by an organization. The procurement process can be a traditional, public-private partnership, management contracting, design and build and framework agreement. Here it can be said that the techniques or processes in each of these methods differ from each other to a certain length. Thus it can be said that the impact of each technique can be seen on various aspects of the construction projects or the firms (Ogunsanmi, 2013). The impact of the procurement techniques can be illustrated in terms of the multi-disciplinary teams, government initiatives, sustainability, environmental management issues, legislation, and professional standards. Here it can be said that in a construction company, there can be multi-disciplinary teams in the construction company. The impact of procurement technique can be seen on the multidisciplinary teams as well. In terms of the acquisition of the inputs and the contractors hired, the teams can be rebuilt or new members can be added in the reams for executing the operations. In the case of a public-private partnership, it is very important to take various rules and regulations that are provided by the government into consideration. In a public-private partnership, the government has a certain degree of power over the private sector. The government initiative thus depends on the procurement technique that is taken by the organization (Osipova and Eriksson, 2011). Here the context of sustainability needs to be taken into consideration as well. The procurement process can lead to environmental and sustainability management issues as construction projects may lead to environmental issues. Here the Latham report entitles “Constructing the teams” can be presented here. The report was published in 1994 and it reviewed the contractual arrangement and the procurement arrangement in the construction industry. In the report, some of the controversial issues that are seen in the industry are discussed. In the report, some of the results of poor performance projects are given for the construction sector (Latham, 1994). The report established the fact that teamwork is very important in the construction sector and thus reforms are required in the sector. Thus it can be said that the industry was ineffective, fragmented and incapable of delivering the quality service. It is very important to implement a benchmarking process in the industry for the comparison of cost, cycle time quality and productivity (Latham, 1994). It is known that sustainable construction should be the main aim in the construction industry. The procurement process can affect the performance in the construction industry and thus effective strategies must be implemented for sustainable construction. In conclusion, it can be said that Stepnell is one of the most successful and profitable companies in the construction industry. In this assignment, various aspects of the construction industry in terms of organizational operations has been presented. Here the principles of management, influence of human resource management, the structure and activities, various approaches, influence of scale and size, planning and management, procurement scheduling and control, quality control, risk management, procurement methods, the use of contracts, and the evaluation of the procurement techniques are conducted in a build and construction industry. Anyanwu, C. (2013). The Role of Building Construction Project Team Members In Building Projects Delivery.IOSR Journal of Business and Management, 14(1), pp.30-34. Arditi, D. (2012). Construction Quality Management: Principles and Practice. Construction Management and Economics, 30(6), pp.500-501. Chao, L. and Hsiao, C. (2012). Fuzzy model for predicting project performance based on procurement experiences. Automation in Construction, 28, pp.71-81. Cheung, S. (2010). Relational Contracting for Construction Excellence: Principles, Practices and Case Studies.Construction Management and Economics, 28(7), pp.805-806. Eriksson, P. and Westerberg, M. (2011). Effects of cooperative procurement procedures on construction project performance: A conceptual framework. International Journal of Project Management, 29(2), pp.197-208. Fageha, M. and Aibinu, A. (2014). Prioritizing Project Scope Definition Elements in Public Building Projects. Australasian Journal of Construction Economics and Building, 14(3), p.18. Forgues, D. and Koskela, L. (2009). The influence of a collaborative procurement approach using integrated design in construction on project team performance. International Journal of Managing Projects in Business, 2(3), pp.370-385. Jctltd.co.uk, (2015). Design and Build. Kelly, J., Male, S. and Graham, D. (2014). Value Management of Construction Projects. Hoboken: Wiley. Latham, M. (1994). CONSTRUCTING THE TEAM. 1st ed. Learnmanagement2.com, (2015). Flat organizational structure. Ogunsanmi, O. (2013). Effects of Procurement Related Factors on Construction Project Performance in Nigeria. Ethiop. J. Env Stud & Manag, 6(2). Osipova, E. and Eriksson, P. (2011). The effects of cooperative procurement procedures on joint risk management in Swedish construction projects. IJPOM, 3(3/4), p.209. Plunkett, J. (2014). Plunkett’s Real Estate & Construction Industry Almanac 2014. Houston: Plunkett Research, Ltd.
Rodriguez, J. (2014). Types of Construction Contracts. Slater, R. and Radford, A. (2008). Perceptions of the Australian Building Industry of Deficiencies in Architects’ Design Documentation and the Effects on Project Procurement. Australasian Journal of Construction Economics and Building, 8(1), p.23. Stepnell.co.uk, (2015). Stepnell vision and values. Stepnell.co.uk, (2015). Strategy & Culture. Stepnell.co.uk, (2015). Supply Chain Partner Requirements.